14 | What's in a Name? The CBZ presents another classic boxing-themed radio show. This month we bring you an episode of Duffy's Tavern ("Where the elite meet to eat"), from April 13, 1951, starring Maxie Rosenbloom. Cleveland's boom days in boxing during the 1940s and 1950s produced not only local talent, but also adopted talent -- that is, fighters from other places, even other countries, who made Cleveland their home. Anton Christoforidis was born May 26, 1917, in Messina, Greece, and did most of his early fighting in Europe, mostly in France. From 1934 until he came to the United States in late 1939, he had 46 fights in Europe, including winning the European middleweight crown against Bep Van Klaveren in Rottendam on November 14, 1938. One of the spectators was Adolph Hitler. When the war broke out, Christoforidis was in Normandy and decided to come to the U.S. and give his career a chance against American opposition. He won six fights in a row in New York, Chicago, and Detroit before coming to Cleveland to meet highly touted Jimmy Reeves, whom he promptly knocked out in two rounds. Christoforidis' next fight found his winning streak stopped, as future Hall of Famer Jimmy Bivins bested him over 10 rounds. Anton once told me, "I won that fight; it was strictly a hometown decision." In a rematch the next month, Christoforidis returned the favor and walked off with a 10-round decision. All these fights in America took place in 1940. The Bivins win and the excellent results he had against other American opponents landed Christoforidis a shot at Melio Bettina for the vacant NBA light-heavyweight crown. 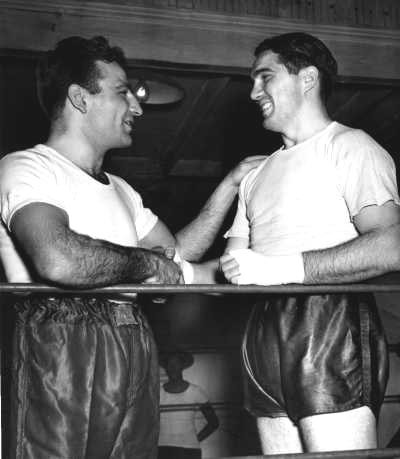 They met on January 13, 1941 in Cleveland, and Christoforidis emerged the victor after 15 rounds. 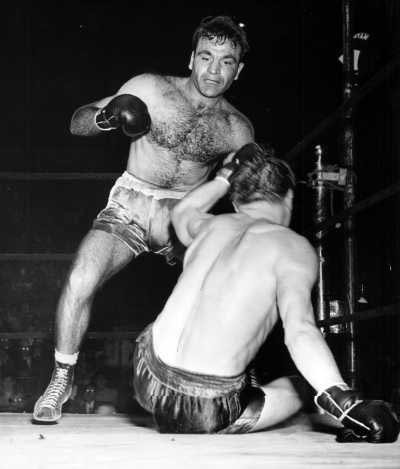 He then won two easy fights by knockout against Italo Colonnello and Johnny Romero in nontitle fights, and then he promptly lost his crown against Gus Lesnevich, in New York over 15 rounds on May 22, 1941. Christoforidis decided to give Cleveland another try, and he had pretty good success. From December 1941, when he defeated former middleweight champion, Ceferino Garcia by decision on the Cleveland New Toyshop Fund show, he was a combined 8-1-1 through 1942, with Cleveland being his home base, although he did fight in Pittsburgh, Buffalo, Detroit, and Chicago. Christoforidis' draw was against Nate Bolden, a pretty fair fighter in his own right, but the only real negative fight result was his fight with Ezzard Charles on January 12, 1942, in Charles' hometown of Cincinnati, where he was stopped by TKO in three rounds. 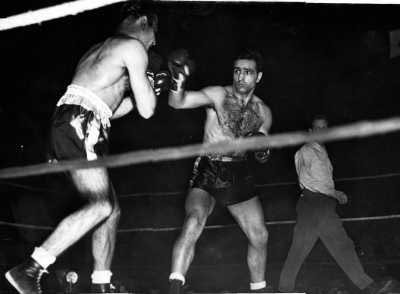 The year 1943 saw Christoforidis meet two of Cleveland's all-time greats in successive fights. On February 23, 1943, Christoforidis and Jimmy Bivins met in their rubber match, this time for the "Duration" light-heavyweight title. After 15 rounds, Jimmy's hand was raised, much to Christoforidis' disappointment. "I thought I won that one, too; it was hard beating Jimmy in Cleveland, plus he was a great fighter." The next fight against Lloyd Marshall saw Christoforidis bested in 10 hard fought rounds. "This is the only fight I feel I really lost in Cleveland," Anton told me during an interview in 1980. "Lloyd was so shifty and smart and could hit a ton." 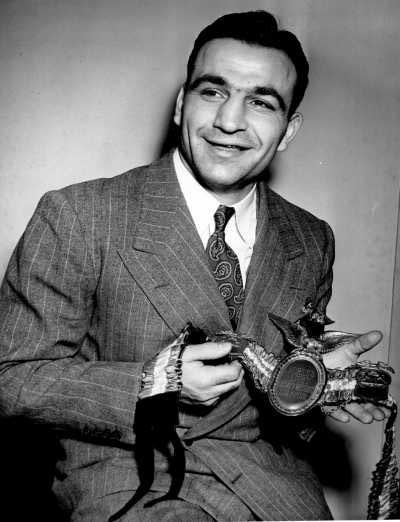 The only other fight Christoforidis felt he might lose was the fight with Garcia on the Toy Fund Show in December 1941. Anton said, "They told me this guy threw a bolo punch and I said, 'What is a bolo punch?'" It didn't take him long to find out, as Ceferino launched a couple of these exaggerated uppercuts and hurt him badly in the ribs. "I could hardly catch my breath, but I did, and I cut him to ribbons to easily win the fight against this rugged guy," he reflected to me with a smile. Christoforidis ran a bar-restaurant in Geneva, Ohio, for a good number of years after he retired in 1947, and he enjoyed the Cleveland area. In 1961 Christoforidis and his wife got divorced, and in 1968 he sold his interests in Geneva and moved to Florida to retire. In 1971 he took an extended trip back to Greece for the first time for a scheduled 45 days. However, he liked it so much, the 45 days turned into 15 years! Christoforidis was a hero in Greece and enjoyed the company of the rich and famous on the golf courses and, as he told me, "being in shirt sleeves 12 months a year." Christoforidis died suddenly of an apparent heart attack on October 31, 1985, in Athens, Greece. Over all he was 52-15-7 with 14 KO wins and three KO losses. Anton Christoforidis was just another of the excellent fighters who graced the Cleveland fight scene when boxing was indeed something special here. Jerry Fitch is a contributing writer to the Cyber Boxing Zone. He can be reached at editors@cyberboxingzone.com.